Erin Bradley Designs: Halloween SALE! Take 31% off on the 31st! Halloween SALE! Take 31% off on the 31st! Happy Halloween! How about a little sale today? 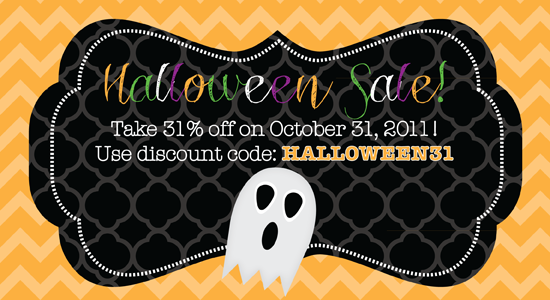 Take 31% off on the Erin Bradley Designs website using the discount code of HALLOWEEN31. Good through today only!